This year I was lucky enough to make the trek over to Victoria for part of the Victoria Beer Week festivities that ran from March 7th-15th. On March 14th I was able to join the New Brew Cruise that was run by West Coast Brewery Tours for Victoria Beer Week. The new brew cruise was not your typical brewery tour by West Coast Brewery Tours though as it traveled farther than normal to bring us to the three latest breweries in Greater Victoria. The three breweries that we checked out were Loghouse Brewpub (Under Construction) (now named Axe & Barrel Brewing Co), Category 12 Brewing and 4 Mile Brewing. The event cost $60 and included samples of beer at all three locations and even food at 4 Mile Brewpub. The brew cruise picked up at the Garrick’s Head Pub a local craft beer haven in Victoria. I had never been to any of the three locations so I was very excited to get moving. Once on the road we headed to the under construction Loghouse Brewpub. The brewery was originally scheduled to open up right at Victoria Beer Week but like every other brewery before them they have hit snags with licensing and construction and they are behind. The pub itself has been here for many years and originally had a liquor store attached. When a new liquor store was built in the parking lot though they decided to use the old liquor store space as a brewery. To say it is pretty obvious why they are calling this the loghouse brewpub is to put it lightly. When you walk into the brewery space you first meet what will be the growler station and I am pretty sure a small tasting room. You then walk into a hallway where you will find yourself in the brewery. The system they are using was built entirely on Vancouver Island. Tanks are set up in the cold room that will directly feed the taps in the brewpub. There is also a small grain room and mill room. We then walked over to the pub side of the operation to get a look at what it is like. This pub will be undergoing a transformation when the brewery opens. They have been slowly reducing the number of beer on tap to get ready for their own beer. They will not fully kick our Macro beer at this time but they are working at it. I just personally hope they remove most of the Macro advertising that most standard neighborhood pubs have. Because the brewery did not have any of their own beer on tap yet (None has been brewed on their system after all) they took us over to the new liquor store and brought us upstairs to a staff room to taste a selection of the Brew masters choices. I had hoped he would pick styles that represented what he was looking to do but that was not the case. His plan is to do mild ales and session beer with one exception being a West Coast IPA. Once finished with the tasting we piled back into the van and headed to our next location. This building that 4 Mile Brewing is located in has a long and sorted history that goes back to 1858. The building has been many things including a place that sold booze legally or otherwise over its long history as well as a brothel! 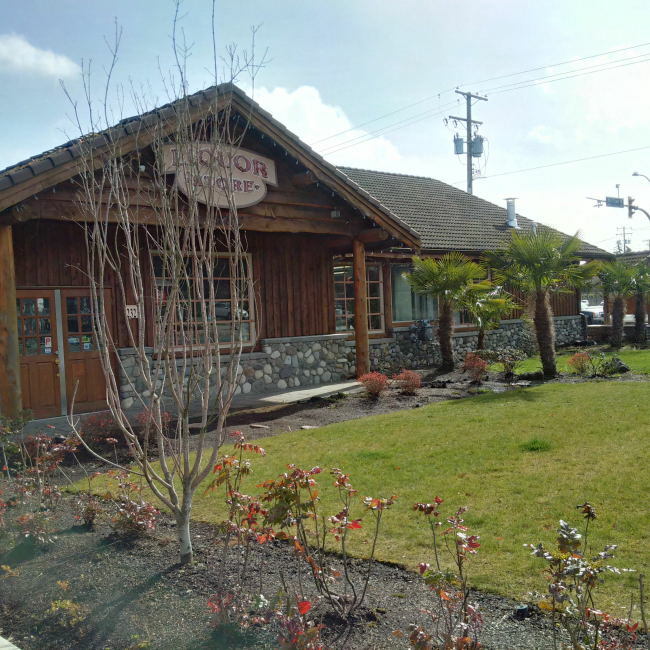 The family that now owns it has owned it since the 1980’s and back then finally got things back on the legal tracks by getting a liquor license. Seeing the brewing craze they decided to get in on the fun with a brewery on sites to compliment the pub. In 2013 they ordered their brew system and started brewing in 2014. The Brewery uses a lesser used system in the open fermentation tanks which does lead to different flavour profiles if only ever so slightly. Once done in this really cool open concept brewery with windows along the one full side of the building we headed into the pub for samples of their beer and some finger food. Its a great little pub with some pool tables, growler fills, off sales and food. We were able to sample their White Lady Wheat Ale, Brothel Brown Ale, Comfortably Numb English Strong and Powder Keg India Pale Ale. My personal favourite beer they make (that I have had) is the English Strong. We even had some snacks as this was an exceptionally longer tour than normal in hot wings, meatballs and kettle chips. Once again once we finished up at 4 Mile Brewing we made out way to our final stop on this tour. Category 12 Brewing is the newest brewery in the Victoria area and is causing waves! This is for good reason though as they make really good beer! Located like so many other breweries in a multi-tenant warehouse it is a little unassuming with only a sign to really give it away. When you step inside though you are greeted by a beautiful tasting room. The whole tasting room has a science feel to it. This all makes sense though when you realize the head brewer Michael Kuzyk has his doctorate in Microbiology. Brewing is a science in its own sense and a fun one if you have the brewing bug and a hard work ethic. Its obvious that this 4 person operation has big aspirations. Moving out of the tasting room we strolled through the doors into the brewery proper. The entire brew system was made by Specific Mechanical Systems in Victoria and is a showpiece for them. Specific Mechanical is able to bring their clients though to see the brewery and how it all goes together with benefits going back to Category 12 Brewing. The brewhouse itself is a 15 hectoliter system and a great size to start with. One thing that Category 12 Brewing has done really well is plan ahead. Their space is currently cavernous with tons of space to expand their tiny little brewery both with more tanks and taller tanks. Being Victoria Beer Week their was also a home brewing event going on at the brewery so their were also a few home brew systems running in the space with a bunch more people. It was a busy day at this little brewery. Once finished in the brewery we headed back to the tasting room for samples of three of their beer including Critical Point Pale Ale, Unsanctioned Saison (brewed with Trappist yeast) and their Disruption Black IPA. I also paid a small sample fee to try their Transmutation Belgian Specialty Ale and it was epic! Their beer has made one trip to Vancouver so far so take a look around for it locally. Once finished up here we headed back to the van and back to the Garrick’s Head Pub. I am always excited to check out new breweries be them in operation of under construction. This was the perfect event for me as an uber beer nerd. 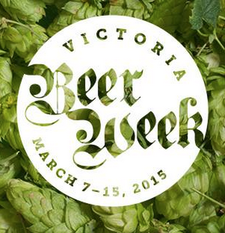 Thanks so much to Victoria Beer Week and West Coast Brewery Tours for putting this awesome event on. This was not your typical West Coast Brewery Tours tour and I look forward to making it back to Victoria to enjoy one of their standard tours and see what they are like. Full sized photos from Victoria Beer Week. 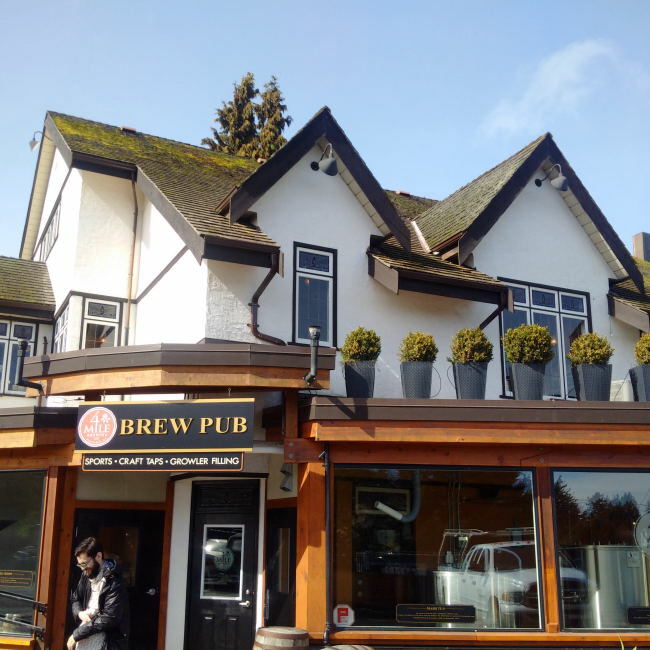 This entry was posted in Beer Travel, Brewery and tagged 4 mile brewing, Axe & Barrel Brewing Co, Axe And Barrel Brewing Co, bc, brew pub, brewpub, bus, canada, catefory 12 brewing, garrick's head pub, loghouse brewpub, open fermentation, tour bus, under construction, vbw, victora beer week, victoria, victoria beer week, west coast brewery tours. Sounds like an excellent tour. I’m sorry I missed it. Great to see many more breweries opening in Victoria to add to such a strong beer culture. It sure was. I am glad to see that Victoria is finally on the upswing again.